You do not have to be tech savvy to be a blogger, I certainly am not. 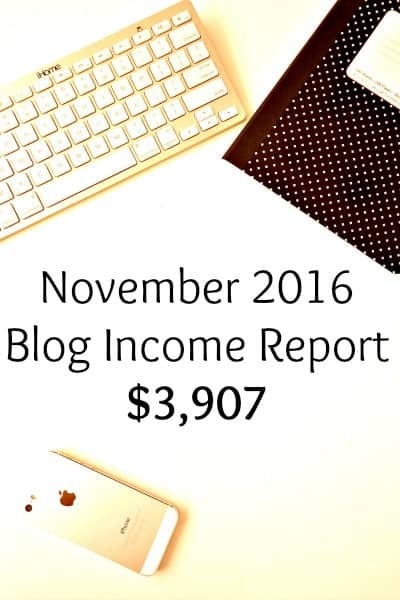 You can even start a blog for only $3.95 a month. 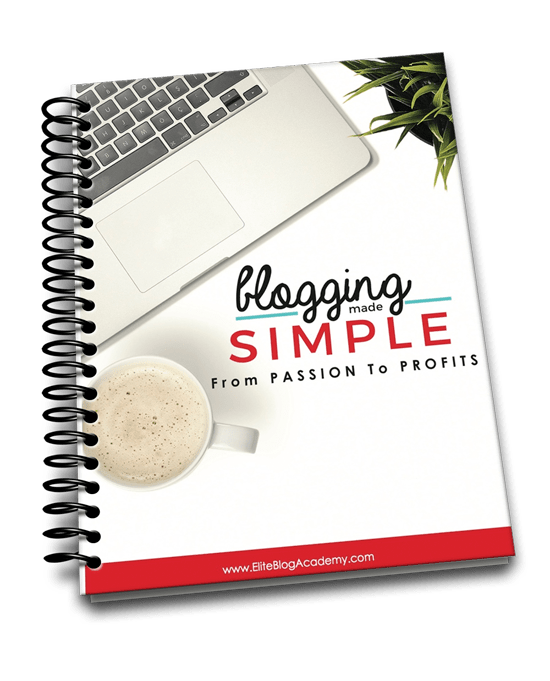 One of the ways I learned how to really make income from my blog was by taking the Elite Blog Academy course. I can’t recommend it enough. They will be open again for registration in February 2017 for EBA 3.0 so you can start saving up if you are interested in the course. Ruth Soukup, the creator of EBA, actually has some free training videos that she is offering from EBA 2.0. You can sign up for that free training to get some great tips. I earned the most I ever have from my ad revenue. I got over 200,000 pageviews last month and that was mostly from two different posts that went crazy on Pinterest. They were both recipe posts that did great for Thanksgiving. I also got more sponsored post offers from Massive Sway. I got 3 different opportunities that all paid well. I usually don’t ever get chosen by that Influencer network so that was a nice surprise. In addition to the income, we also got a free Christmas tree for one of the posts! I have just signed up for Tailwind and I am loving it. I also use Boardbooster, I love the looping and campaign features that they offer but it was getting harder and harder to get accepted to any new Pinterest Group Boards. I still use Boardbooster but I purchased Tailwind so that I can use their Tribe feature which is turning out to be just as effective as Group Boards. I love it! I have been using it for a couple weeks and I have already had a reach of over 500,000. You don’t have to pay to use the tribe feature but I bought the Advanced account because it makes it so much easier to schedule pins from your tribes. Most tribes want you to share at least one pin for every one you leave so this helps. You can get a free trial to Tailwind and Boardbooster to see which one you like the best or you can be like me and use both. I also purchased a new course called Conquer the Layers of Search Engine Optimization. I am already on lesson 5 and I am learning so much! I get most of my traffic from Pinterest and I need to learn the correct way to use SEO so that I can get traffic from search engines and really get better traffic. This will increase my ad income even more. The course is from Crystal Lopez and Kelli Miller. 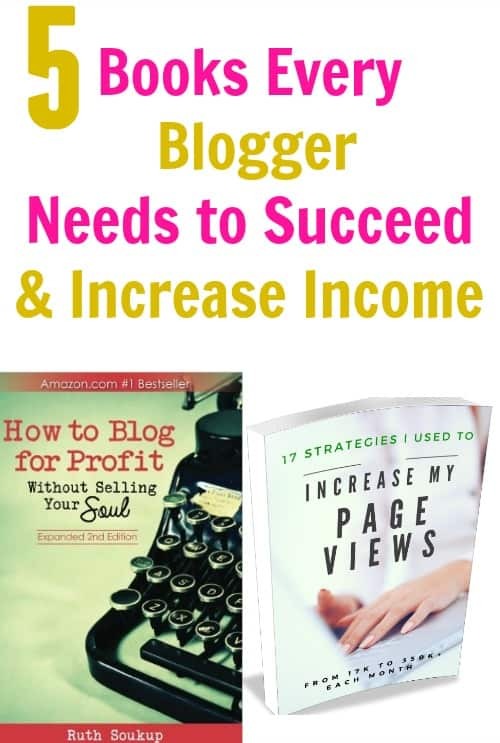 These ladies have very successful blogs and they know how to write for search engines while still sounding like a normal person. I will keep you updated in future posts about the results I see from the course.